Capable as well as plush, potent as well as cavernous (relatively speaking), with sedan-like ride and handling characteristics, Audi’s 2015 Q5 compact luxury crossover lineup returns to rave reviews and, at least from the fairly well-off, popular demand. One of the few 5-passenger high-end crossover utes that actually delivers on all those things folks want in their family and commuter car, this pint-size people hauler gets a few added perks for the upcoming model year, along with, alas, a corresponding price increase. To get down to cases, the 2015 Q5 again comes in 6 trims, the base 2.0T Premium, the 2.0T Premium Plus, the 3.0T Premium Plus, the turbodiesel-powered 3.0 TDI, the 3.0T Prestige and the top-shelf 3.0 TDI Prestige, with each trim name noting the particular engine size and type. All Q5 variations remain delivered with standard (quattro) all-wheel drive (AWD) garb, and said AWD system again comes with a touted driver-selectable Off-Road, um, mode. But beware that the quattro system isn’t designed for any serious rock climbing. The exclusion here of the Q5 Hybrid and the super-agile SQ5, by the way, is deliberate, as we cover those with separate reviews. Anyhow, a few tweaks have been performed on the 2015 editions of this capable crossover, including the addition of standard LED-outlined xenon-plus headlights, lineup-wide, as well as adding a power liftgate and MMI navigation to the list of standard features aboard the entry-level Premium iterations. Thus, said add-ons join the standard 18-inch alloy wheels, roof rails, heated power-adjustable outside mirrors, leather upholstery and full power accessories that have become traditional in the 2.0T Premium trim. Further goodies toted by this base trim include cruise control and telescoping tilt-wheel steering, power-adjustable front seats, tri-zone auto climate control, a remote garage door opener and Bluetooth hands-free communications. Oh, and the new-for-2015 standard MMI navigation system also boasts rear parking sensors and a rear-view camera. Entertainment, meanwhile, returns in the form of a 180-watt audio system flaunting 10 speakers, satellite radio and an auxiliary iPod input (USB port). The Premier Plus designates, meantime, add such standard posh as 19-inch alloy wheels, a panoramic sunroof, an auto-dimming rear-view mirror, heated front seats, memory for driver's settings and keyless entry/ignition. And as for the princely Prestige level, such high-end handiness as standard power-folding outside mirrors, heated and cooled cupholders and a 550-watt, 14-speaker Bang and Olufsen premium audio system sporting Bluetooth streaming audio all come in addition to the above list of cool features. Oh, and cargo area for all these latest Q5 variants remains 57.3 cubic feet, which is indeed cavernous by sedan standards. Options for the 2015 Q5 stable, though plentiful, are mainly available in package form, thereby adding significantly to an already hefty base MSRP. But for those with the cash, such things as adaptive cruise control, adaptive suspension damping, a sport steering wheel and sport front seats are all available in various packages, as are upgraded and upsized wheels and interior accent materials, along with upgraded leather and rear-seat DVD entertainment. For a sportier commute, Audi’s available Driver Select system offers driver-selectable throttle, transmission and suspension fine-tuning, while optional dynamic steering improves a bit on the already competent electromechanical power steering response. Additionally, Audi Connect infotainment is available to integrate various audio and phone apps onto a touchscreen display. At the heart of the 2015 Q5 2.0T Premium and Premium Plus is a returning 2.0-liter turbocharged inline 4-cylinder (I4) powerplant that mates with the traditional 8-speed shiftable automatic transmission boasting steering-wheel-mounted paddle shifters. Look for 220 hp and 258 lb-ft of torque from this blown 4-banger as it sips gas at a decently delicate 20 mpg city/28 highway. Towing capacity, meantime, is claimed by Audi to be 4,400 pounds with an available towing package installed. Stepping up to the open hood of any 3.0T edition, you’ll se a 3.0-liter supercharged V6 engine that again combines with the ubiquitous 8-speed shiftable automatic for 272 hp and 295 lb-ft of torque. Mileage, of course, drops to 18/26 with this larger powerplant, while towing numbers, curiously, remain the same. The 3.0 TDI, meanwhile, packs a 3.0-liter turbodiesel V8 that, again with the 8-speed automatic, puts out 240 hp and 428 lb-ft of torque. Mileage in this blown diesel is a respectable 24/31, with towing numbers so far unavailable. Finally, standard safety equipment aboard each 2015 Q5 manifestation includes 4-wheel antilock brakes (ABS), traction and stability control, front side-mounted airbags, front head restraint whiplash protection, and front and rear head airbags. LED running lights, front fog/driving lights and turn-signal-integrated mirrors also come standard across the lineup, as does a post-collision safety system and a remote antitheft alarm. Optional safety equipment, meantime, includes rear side-mounted airbags and lane-keeping assistance technology. The 2015 version of this classy crossover is slated to begin gracing dealer showrooms in mid-summer 2014. 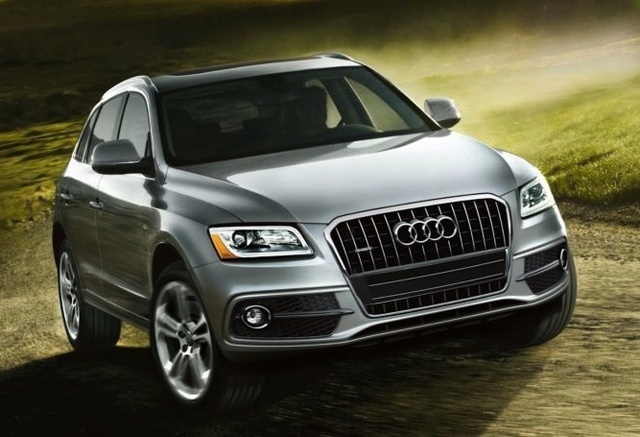 What's your take on the 2015 Audi Q5? Users ranked 2015 Audi Q5 against other cars which they drove/owned. Each ranking was based on 9 categories. Here is the summary of top rankings. 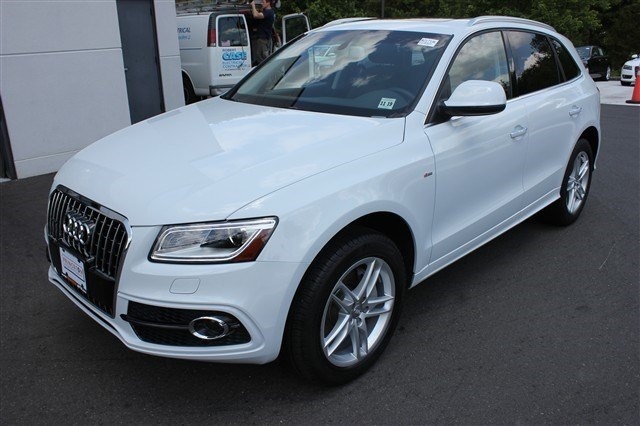 Have you driven a 2015 Audi Q5? How Do I List My Car As Certified Pre Owned? I just listed my vehicle for sale but did not see anywhere to select "certified". i would like for the vehicle to come up when buyers are sorting by certified vehicles - how do I ensure this happens? How Do I Respond To An Inquiry From My In Box? I have someone inquiring about my car, how do I respond to them from your site?